Whether you’re struggling with a sluggish mobile network, a phone that doesn’t support heavy apps or a limited mobile-data plan, Opera Mini is the perfect jugaad when going online from your mobile devices. Can’t wait to share your selfie from Mount Everest or have an inherent need to quench your thirst for answers immediately by searching online? Then, you are that power user who swears by the “oomph” of mobile internet. Every impatient soul deserves this speed-jugaad called Opera Mini that opens webpages in a jiffy. Love the sound of a sale? Or, the sight of a discount? Opera Mini’s compression technology shrinks webpages by up to 90% of their original size. This means your phone uses less data. Don’t look any further than Opera Mini for a jugaad that can help you avoid nasty surprises on your phone bills. Got yourself the latest smartphone and the fastest data plan, but you’re still stuck with a low network speed and a perpetual buffering wheel? Whether you are deep in the city or out in the open countryside, fluctuations in mobile network can dampen the spirit of your online life. Opera Mini can help you rise above mobile network challenges and be your perfect jugaad to stay online – always. Why switch to a foreign language when catching up on local news or social network updates from your dearest friends? 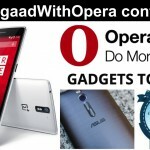 Opera Mini is available in 90 languages and easily opens webpages that have local language content. Also, if you want to persuade the most important people in your life to start using mobile internet, then Opera Mini is that jugaad that won’t let language stand as a barrier. Are you the inquisitive one, interested in affairs of the world and carry that “explorer” tag up your sleeve? Then, Opera Mini feels your pulse. Its Discover feature curates information from around the web, across categories such as Travel, Technology, Food, News and Entertainment. Opera Mini serves you interesting content and also fetches any information you ask for – an all-in-one jugaad for gyaan! 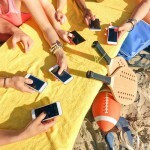 Ever felt sidelined because of your phone? It doesn’t matter whether your phone is low-end or high-end, has an internal memory of 32GB or 128GB, and runs on Android, iOS, Windows Phone, BlackBerry, Java, or even the latest Tizen operating system – Opera Mini has your back. 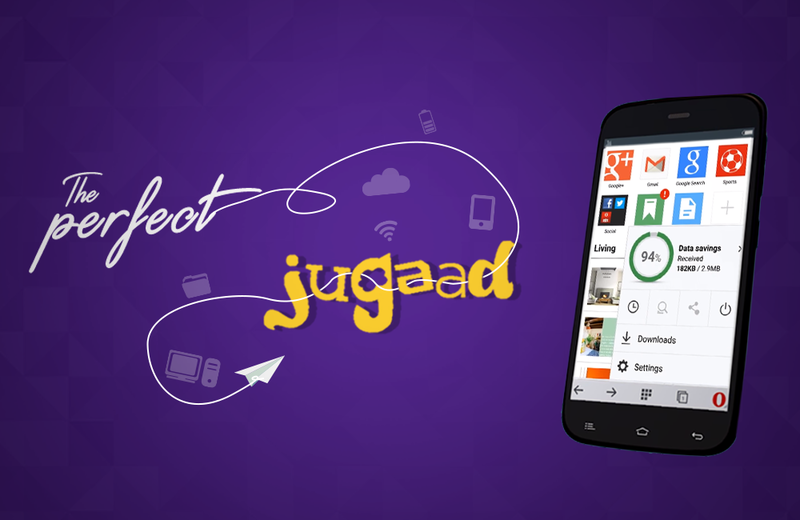 This jugaadu app does not discriminate and gives the smoothest browsing experience on all kinds of mobile devices without using much memory. Check out some Opera Mini goodness in this video and remember to download Opera Mini on your phone today, if you don’t have it already. It is available for free on all the app stores from Google Play to Apple’s App Store to the Windows Store. If you still can’t find it, head over to m.opera.com on your phone and download the right version for you. Previous article: Life hacks powered by your mobile phoneNext article: Here’s how you can have fun with all the free WiFi around you!